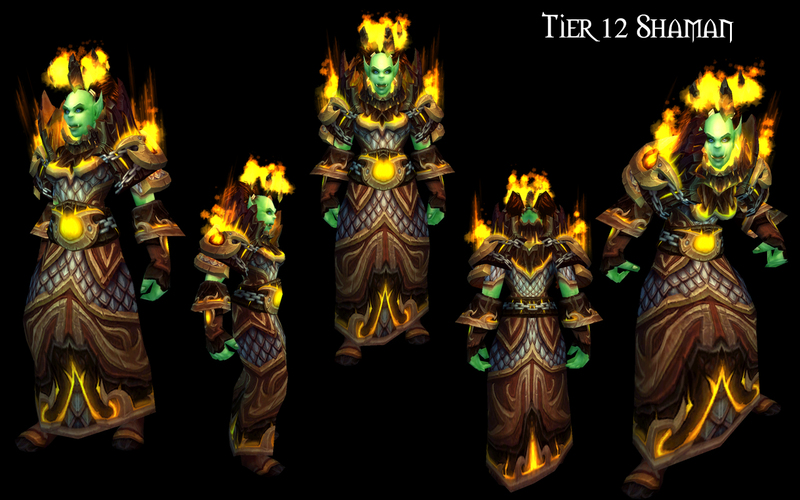 Es geht munter weiter mit den Previews für die kommenden WoW T12 Sets. Wie gehabt sind alle T12 Sets einheitlich im Feuerthema gefaßt. 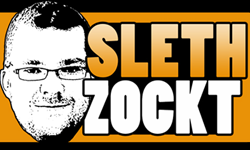 Das mag einem gefallen oder nicht, aber manchmal sehne ich mich nach den alten WoW T-Sets aus den Classic Zeiten zurück, auch wenn die auch ihre Macken hatten. Aber über den Look des alten WoW-T2 Rogue Sets (Bloodfang) lasse ich nichts gehen. 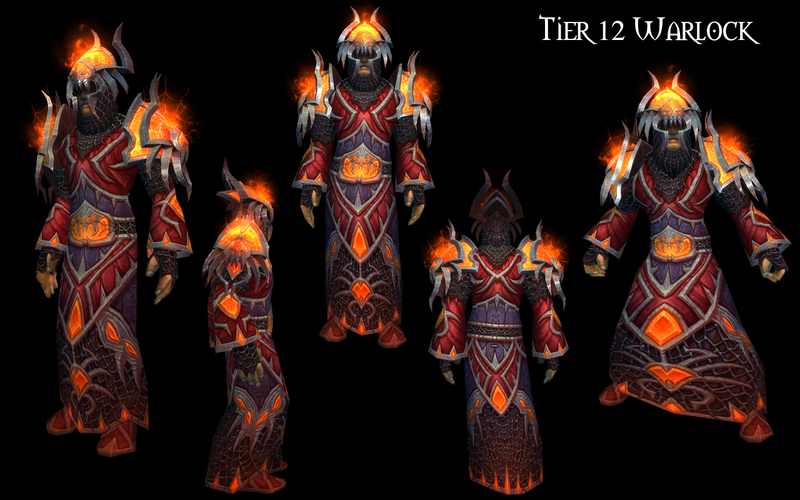 Fairerweise: es ist wahrscheinlich auch schwer, im Bereich Hosen/Chest irgendwann nochmal den Hammer rauszuhauen, wenn man bereits beim WoW T12 Set angekommen ist, die PvP Sets mal nicht eingerechnet. Blood Death Knight 4-Piece: The bonus to parry from Dancing Rune Weapon now begins when Dancing Rune Weapon wears off, instead of lasting while Dancing Rune Weapon is active. Frost/Unholy Death Knight 4-Piece: Old bonus removed and replaced — Your Obliterate and Scourge Strike abilities deal 6% additional damage as Fire damage over 4 seconds. Feral Druid 4-Piece: The bonus to dodge from Barkskin now begins when Barkskin wears off, instead of lasting while Barkskin is active. Restoration Druid 4-Piece: Old bonus removed and replaced — Your Swiftmend also heals an injured target within 8 yards for the same amount. Protection Paladin 4-Piece: The bonus to parry from Divine Protection now begins when Divine Protection wears off, instead of lasting while Divine Protection is active. Holy/Discipline Priest 2-Piece: Now also triggers from casting Prayer of Mending. Holy/Discipline Priest 4-Piece: Old bonus removed and replaced — You have a chance when you cast a helpful spell to summon a Cauterizing Flame at the target’s location. Each second the Cauterizing Flame will heal an injured party member within 20 yards for 9250 to 10750 health. Lasts 5 seconds. Shadow Priest 2-Piece: Now requires the priest to be in Shadowform to be active. Warlock 4-Piece: Now also triggers from casting Drain Soul. Arms/Fury Warrior 2-Piece: Old bonus removed and replaced — Your Battle Shout and Commanding Shout abilities grant you an additional 35 rage. Cannot occur more often than once every 60 seconds. Protection Warrior 4-Piece: The bonus to parry from Shield Wall now begins when Shield Wall wears off, instead of lasting while Shield Wall is active.